Now that is a kitchen packed full of color! 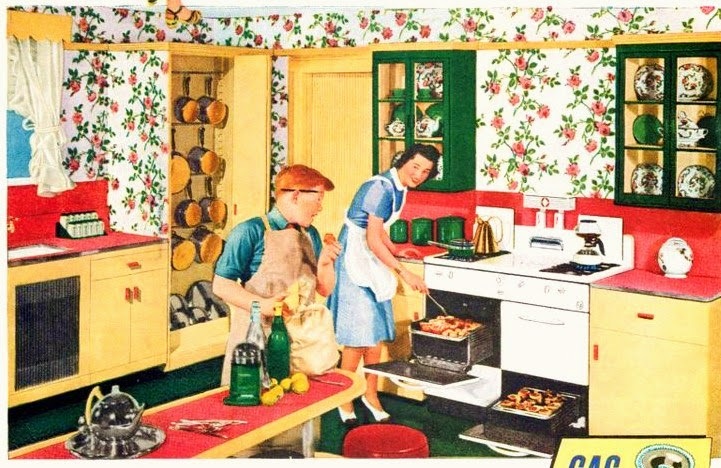 As natural gas became new way to heat a home... it also became the way for cooking more efficient in the home. Where as ladies had been using wood, coal and oil as a heat source. Which made the home kitchen hotter than heck to use. The local American Gas Company, was in business to get folks to install a new gas range in the kitchen. It seems odd now that the public had to be convinced, to install these new stoves in their home. I bet they were not pleased when those electric stoves came into the picture! Which even made it less hot in the kitchen to cook. 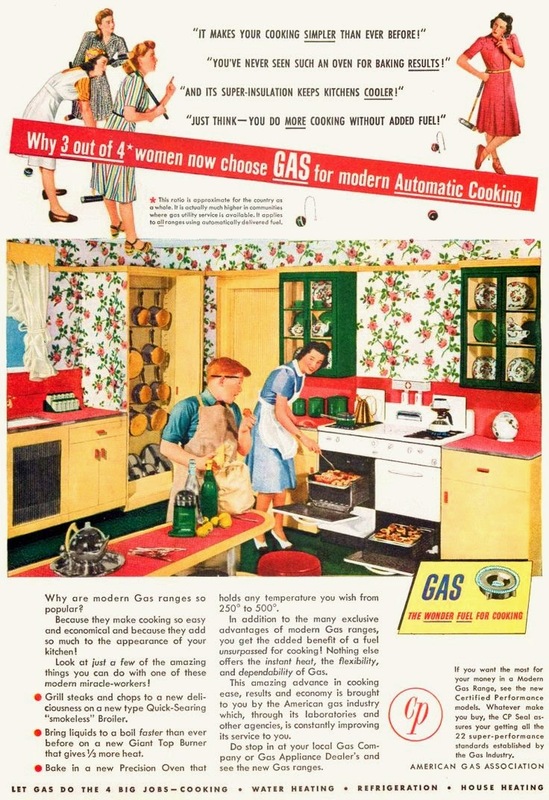 But anywho... there are lots of these cheery advertisements from local Gas companies from the 1940's to convince the ladies of the home... to get that new gas stove!